An actress once advised me, ‘Make sure you do your own laundry – it will keep you honest.’ – Cate Blanchett. I was reading a book I stumbled upon at the library ‘Organic Housekeeping’ where it recommends line drying clothes. 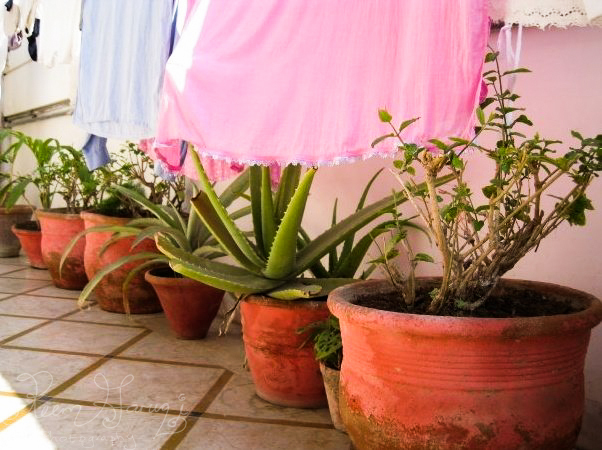 I miss how in my grandmother’s house in Karachi, Pakistan almost everything is line dried! These 2 images I took a while ago, but somehow today I was reminiscing on them so decided to blog these 4 older photos. I love how the pink dress and aloe are interacting with each other. 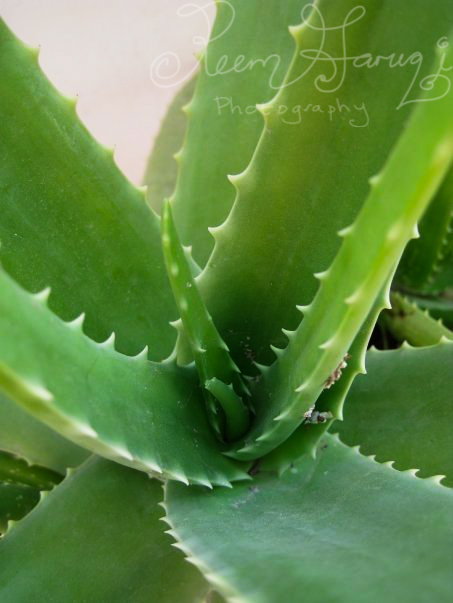 Aloe Close up. Aloe has so many benefits! I have a huge one on my window sill and it’s great to apply on a cut or a burn when in a pinch. 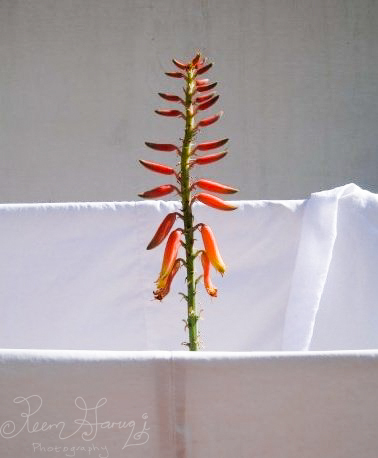 Here a plant grows amidst laundry. Love how a simple chore can be so beautiful. Maybe because I don’t do this daily, but rather sporadic summers, this chore looks pretty to me. 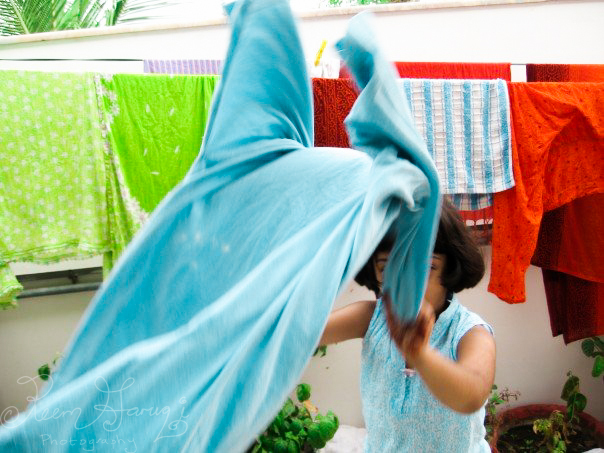 Here my little cousin was helping me line dry my clothes – here she’s wringing them out first. Love how the action of the photo is caught. Maybe I can attempt a little line drying with Z? She’s still not got the hang of clothing pegs, but apparently teaching children how to manipulate clothing pegs is good for their grasp and eventually their handwriting, who would have thought? It’s nice to look at old photos and reminisce on good times. Will continue to do so! “And it is He who sends down rain from the sky, and We produce thereby the growth of all things. We produce from it greenery from which We produce grains arranged in layers…” (Quran 6:99).